This article is brought to you by T3 Magazine, your essential guide to the latest and greatest lifestyle technology. Like what you see? You can pick up a subscription to T3 with 35% off in our Christmas sale! Your fingerprints are unique to you, but did you know that your hearing is too? Research shows that each of us has different levels of sensitivity to various frequencies of sound. This means you’ll hear music differently to the next person, and will pick up on, or miss, certain notes. So, how do you pick the right headphones for your hearing? Step forward, adaptive audio headphones, such as those from Nura (£349 / $399). The Nura sports a unique earbud and over-ear cup design. Bass comes from a driver in the bigger cans, treble is played from the in-ear. As you might expect, this setup is great for sound isolation, too. 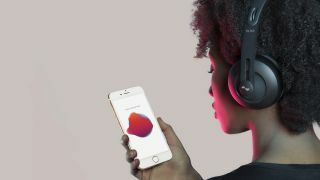 The headphones use soundwave tech to automatically measure your hearing, then adapt the music to suit – helping you to hear each note perfectly. The Audeara A-01s ($499 / £367.27) also aims to deliver perfectly tailored sound. When you first wear the cans, you perform a simple hearing test. The A-01 then uses your hearing profile to adjust the sound signal as it passes through. There are more options out there too, including Even’s H2 Bluetooth Wireless Headphones (£299 / $299), which it describes as 'glasses for your ears' and HTC’s USonic Adaptive Audio Earphones (£34.90 / £39.99), which only work with HTC phones, but use the phone’s processing power to customize their sound to you. Get ready to hear your favorite songs sound better than ever! Pick up a subscription to T3 with 35% off in our Christmas sale!